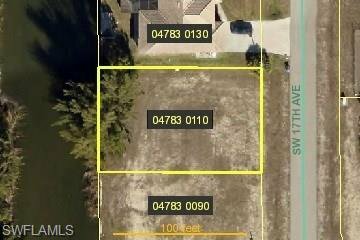 Build your dream home on this gulf access waterfront lot! Plenty of room for a large house and pool with a wonderful view from the back! Enjoy all the wonderful amenities this growing area has - great food and entertainment! Shopping and school choice! Listing courtesy of Uriami Realty LLC.